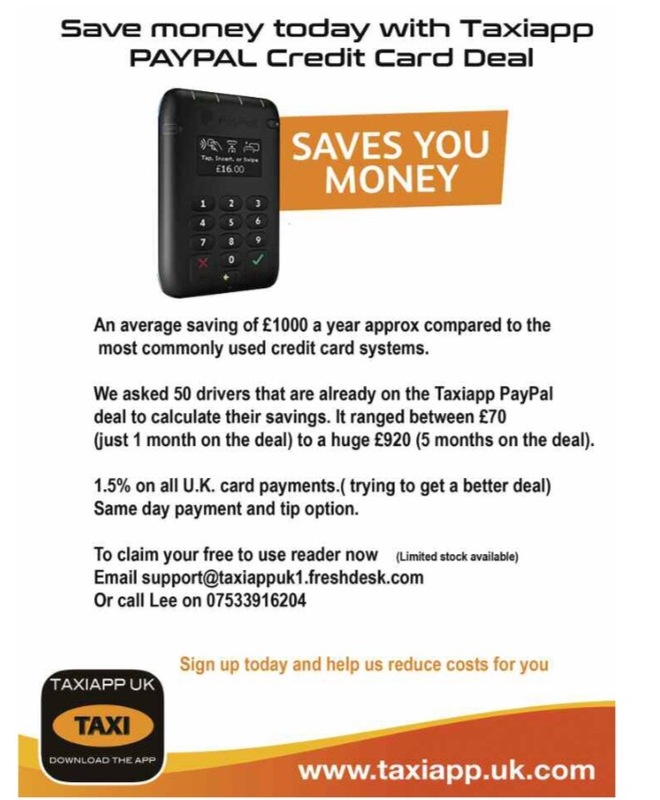 While the Taxi trade protest in Parliament Square, fighting for their livelihoods, asking for no more than to be able to do the job they’ve been doing for many years.... this story makes headline new all over the MSM. A London cyclist is in a critical condition in hospital after being kicked off his bike by a fellow rider, causing him to crash into a car. The 30-year-old victim was riding his bike in Wallis Road in Hackney at around 12.45pm on Sunday when another cyclist caught him up and began to cycle alongside him. Scotland Yard said the attacker then kicked the victim off his bike, resulting in him falling off and colliding with a parked car. The victim was taken by ambulance to an east London hospital, where his condition is critical. The other cyclist sped away in the direction of Berkshire Road. The motive for the attack is not known, according to police, who have released CCTV images of the incident and are appealing for information. 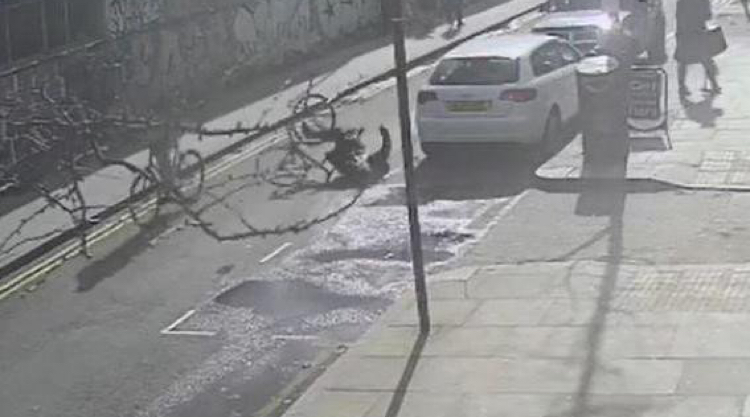 The suspect is described as a white male in his 20s or 30s and police want to hear from others in east London who may have encountered the cyclist. A Metropolitan Police spokesperson said: "Officers also want to hear from anyone who may have been threatened or assaulted by this suspect in and around Hackney." Anyone who witnessed the incident, who recognises the man shown in the CCTV, or has information that may assist police is asked to call Central East CID via 101 quoting CAD reference 3718/10MAR19. To remain anonymous call Crimestoppers on 0800 555 111. Someone got pushed off he's bike. Quick run and tell miss. To be fair, the person knocked off the bike is in a critical condition & is somebody’s loved one - so let’s wish the person a speedy recovery. In relation to this incident, without any identification on the culprits bike, how are they going to locate him easily. This is why ALL road users need to have identification, including, cyclists, scooters with or without electric motors, roller skaters (who move at lightning speed, zig, zagging, dangerously in & out of traffic) & even horse riders - it would also benefit these in a situation where any fault/blame is unattached, regarding witnesses. Otherwise, it makes it hard to locate anyone in an incident that occurs. Yes, i am a keen weekend cyclist and i think every cyclist should have a number plate on his bike, front and back, and a monthly cycle mot, only obtainable with insurance, and i for onew would also like to contribute to a road tax scheme, us cyclists cant expect smooth roads to enjoy our ride without contributing, i would be happy to pay a minimum £100 a year towards road tax, its only fair, and i would also like to see police stop any cyclist without correct lamps on cycle, hit them with a fixed penalty £50 fine, those people give us cyclists a bad name! Yes, with the super highway i for one would be prepared to pay £500, its only fair that we contribute as we are getting preferential treatment, at last, and actually are getting fit by getting to work on our cycles, so no need for a gym membership! I hope to see a mayor who would let me contribute, road tax and insurance, i"m suprised we have been able to get away with no insurance for so long, i had a friend who"s elderley father got knocked down on a zebra crossing by a cyclist , in full lycra, racing bike, cam on helmet and tinted racing like sunglassws going round his head, and he didn"t even stop! This gives us all a bad name, and has to stop!Insurance and road tax please mr mayor, its long overdue! Never heard such nonsense 4:05pm should we attach a number plate on the back of somebody’s head on a scateboard so we can identify them, completely nuts worlds gone bloody 😡 mad..
Anon 07.30. Nonsense or not ( re: identification); god forbid one of these irresponsible characters should damage your vehicle or cause you you another serious problem. Although, if it were the case, I’d imagine you’d be screaming your head off for id or saying they shouldn’t be allowed on the roads. Also, the sKateboard would be an awkward one but what do you suggest? Maybe, all & sundry should be able to use the roads, without any risk of being identified, in the case of an accident. It’s anarchy on the roads at certain periods & the longer it continues, the more these chancers will put their own & others lives at risk. However, just let it carry on unhindered & let anybody do as they please with little regard for anyone else!